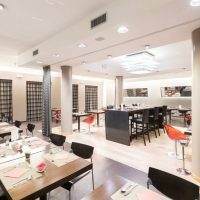 Looking for a hotel near Malpensa? Have an early morning flight to catch or landing late at night? 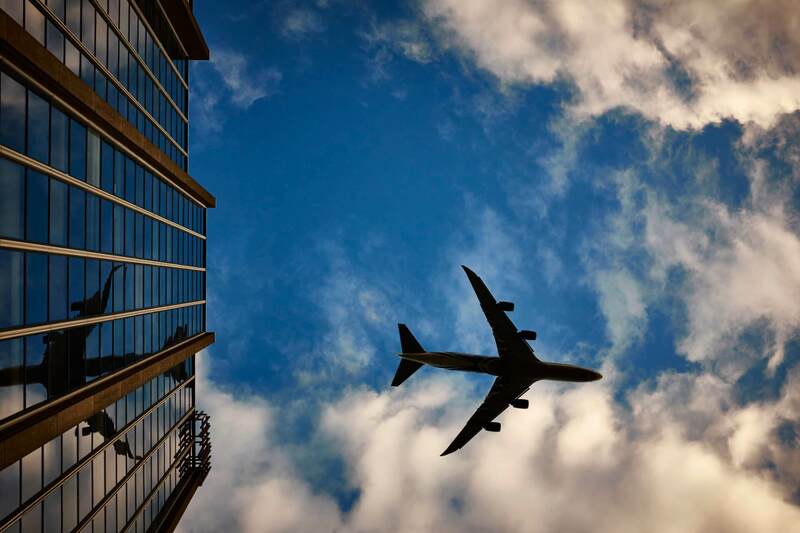 Choose the convenience of First Hotel Malpensa Airport, a hotel near Milano Malpensa airport Terminals 1 and 2 with 24 hr airport shuttle service. 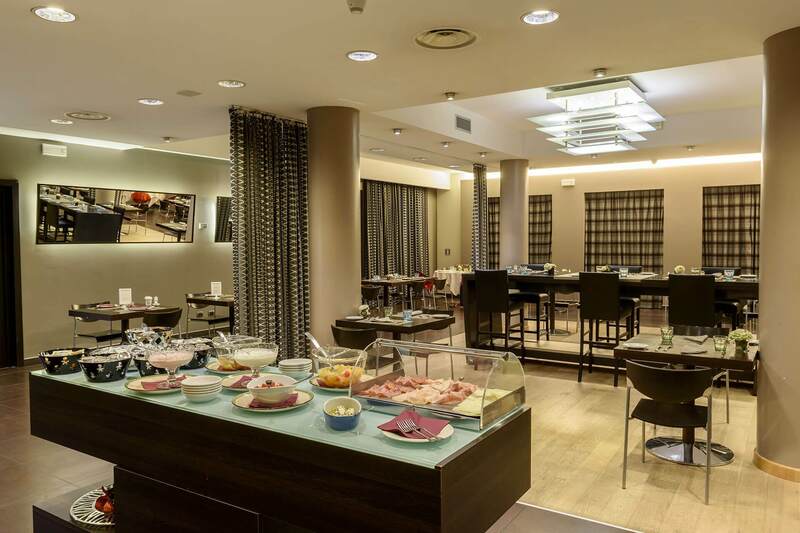 With free parking, a restaurant and snack bar always available, the 4 star First Hotel Malpensa offers modern double and truple rooms, all soundproofed and featuring all amenities, ideal for a regenerating night's sleep. Best rate guaranteed on the Official Site! 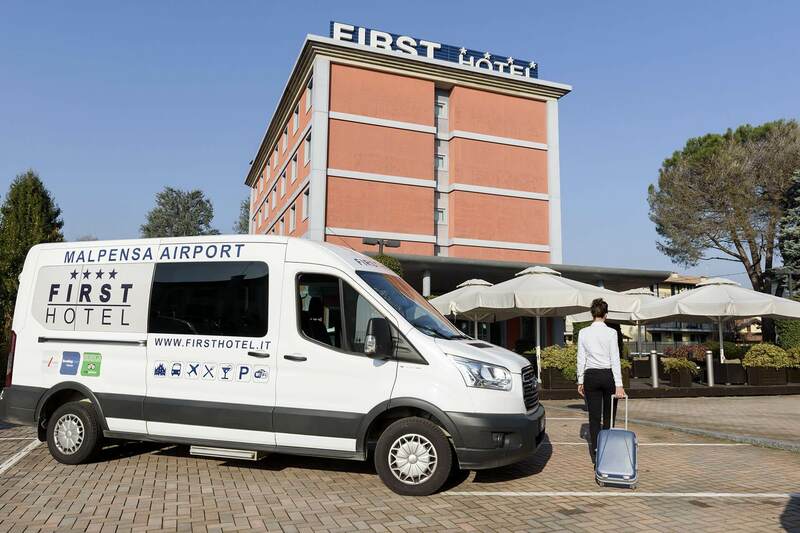 Situated just 800 meters from Malpensa Terminal 1 and one km from Terminal 2 , First Hotel Malpensa is the best choice for travellers stopping over in Milan: the 24 hr private shuttle service (€3 per person one way), getting to the airport is quick and easy! From Malpensa, public transport allows easy access to key points in Milan , such as Central Station, Fiera Rho and Fieramilanocity, as well as the airports of Milano Linate and Bergamo Orio al Serio. 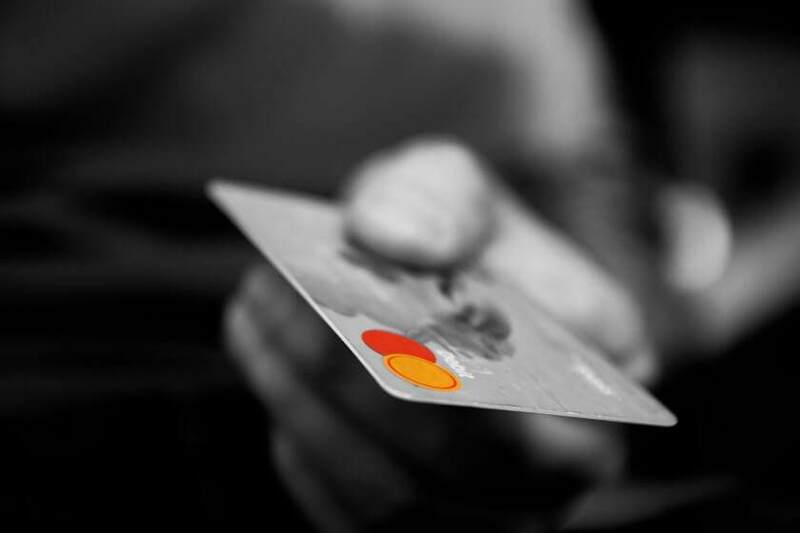 The staff at the First Hotel is at your complete disposal to provide information on the best way to get to your destination and to assist you in purchasing tickets. For guests arriving by car, the hotel's parking is free on the night of your stay. For extended stays, we'll be glad to point out the most convenient car park services in the hotel's surroundings. Take the freeway (superstrada) to Milan and exit at Case Nuove. Follow the signs for Case Nuove, and take the third exit at the first roundabout. The First Hotel Malpensa is on your left. Take the freeway (superstrada) to Terminal 1 and exit at Case Nuove. Follow the signs for Case Nuove, and take the third exit at the first roundabout. The First Hotel Malpensa is on your left. Take the A8 motorway and exit at Busto Arsizio. Take the SS336 freeway to Malpensa and exit at Case Nuove (first exit after Terminal 2). Follow the signs for Case Nuove, and take the third exit at the first roundabout. The First Hotel Malpensa is on your left. Follow the signs for Case Nuove, and take the third exit at the first roundabout. The First Hotel Malpensa is on your left. First Hotel Malpensa is designed around the specific needs of guests transiting through Malpensa and a business clientele traveling to Milan on business, offering all the necessary services for a worry-free stay: private transfer, free video-monitored parking on the night of your stay, early check-in and late check-out, restaurant, lobby bar open 24/7, meeting rooms and, naturally, free WiFi. 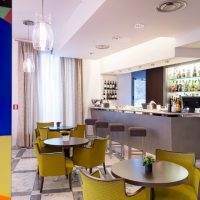 Modern, functional and soundproofed, the rooms at the First Hotel Malpensa are continuously renovated to offer our guests the best hospitality services. Available as doubles and triples, guests are ensured a quiet and relaxed stay, thanks to comfortable beds, air conditioning and blackout curtains. 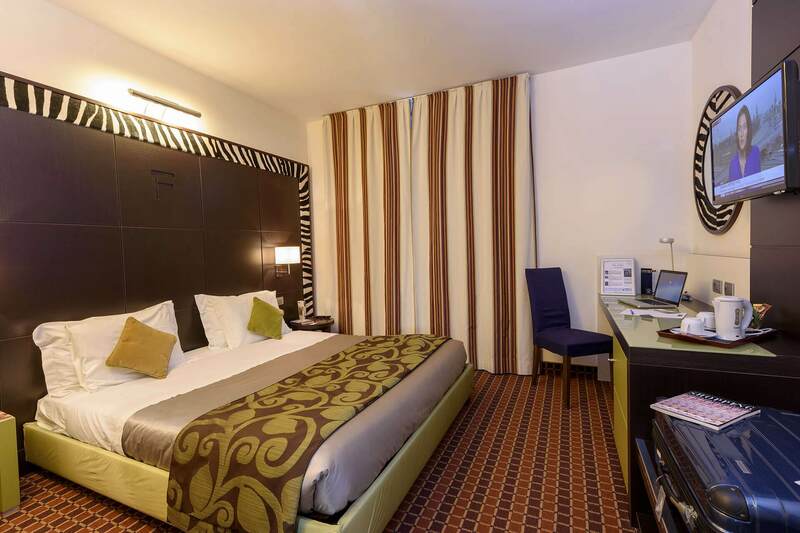 Large rooms with a double bed (160x200 cm) or two single beds, and an optional additional single bed. Ideal for individual travellers, couples or small families. 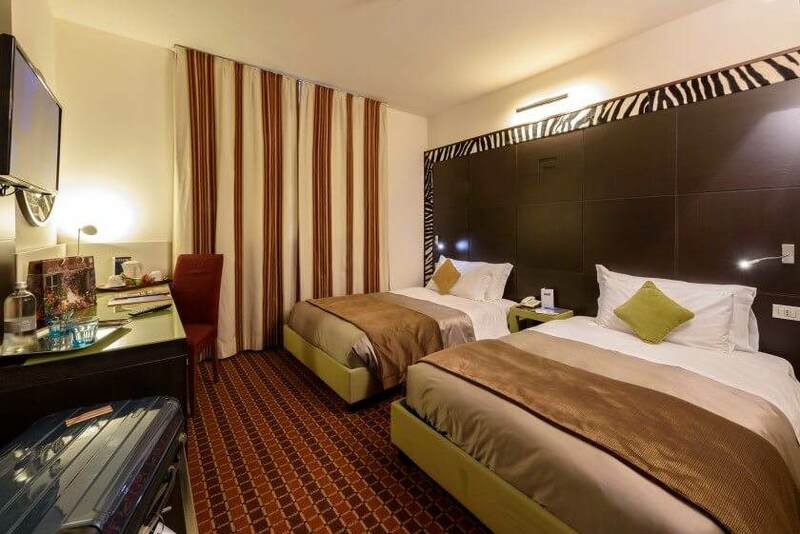 Elegant double and twin rooms, for guests who want extra comfort. King size bed (on request), free mini-bar, coffee maker, bathrobe and slippers. 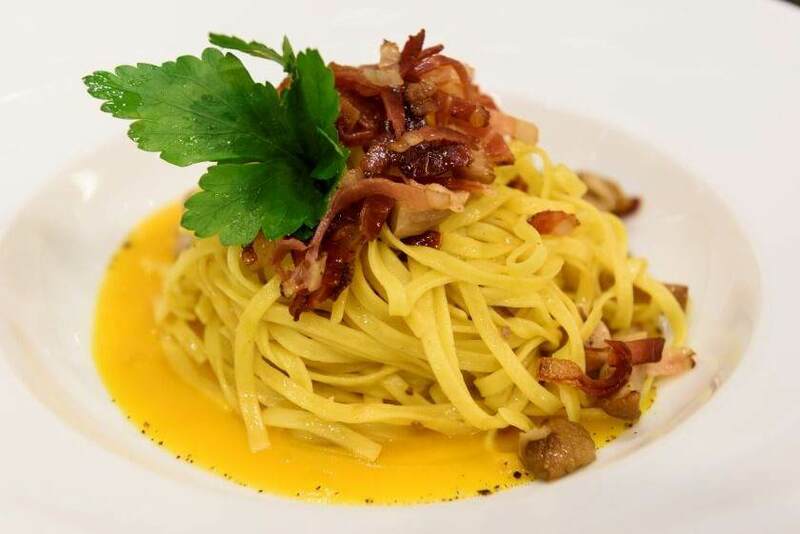 The very best seasonal specialties of traditional Italian and international cuisine await you at the First Hotel Malpensa's Ristorante Eagle , including vegetarian and dietary dishes, all prepared using fresh ingredients. The restaurant is open for dinner from 7:00 to 10:30 pm, whereas a light menu is always available at the snack bar or in-room. 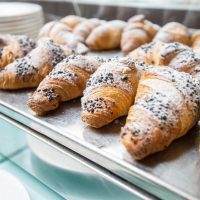 An abundant and varied buffet breakfast is served in the elegant restaurant room from 6:30 to 10:00 am. For guests leaving in the early morning hours, the lobby bar is always open for a quick light breakfast. During the day and up to late evening, the hotel's guests can enjoy a snack at the Lobby Bar, open 24/7. On request, the Ristorante Eagle can host business brunches, banquets and gala dinners. Contact us for customized proposal, designed to meet your specific needs. 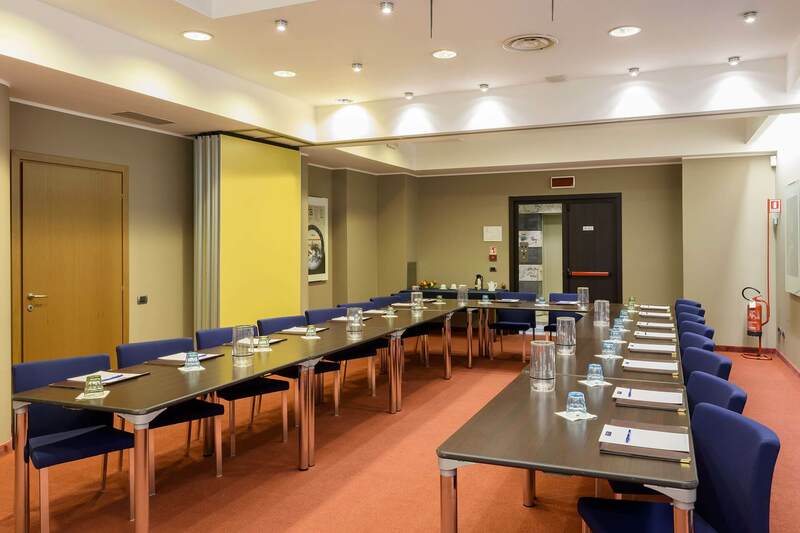 For our business clientele, First Hotel Malpensa makes available two conference rooms for meetings, training courses and business symposiums. The Albatros room (63 sq m) and Birdie room (43 sq m) are ideal for 10 to 70 people, depending on the layout. In addition, these rooms can be configured to create different combinations of smaller spaces. The meeting rooms can be configured for a theater setting, in a horseshoe layout, single table with rows, or set up for cocktails (up to 70 people). Download the detailed set-up (pdf). Processing of your personal data shall be carried out by Sam Srl and Space Hotels Società Cooperativa.